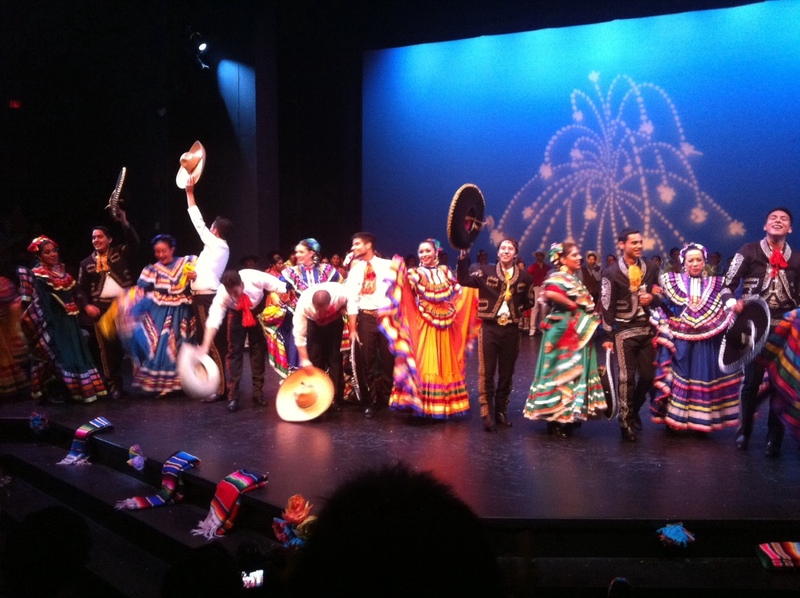 Vivan Los Mejicas: A truly versatile and multiculturally diverse dance ensemble like no other! Where to begin? or better yet, how to begin this piece? For the second year in a row, and thanks to the gracious invitation of my dear niece Erica Mendoza Cortés, a junior at the gorgeous campus of UC Santa Cruz, I’ve made the road pilgrimage up north from Los Angeles with my sister and other family members to see her perform in the university’s one and only Ballet Folklorico Los Mejicas! Formed in 1972, this year marked the organization’s 40th anniversary, a feat all on its own, and quite a special reunion for some of the alumni of the group, who came back to either cheer the current members and enjoy the 3-hour long show, or even join in a very emotional and special Jalisco performance (alumni from years past, which dated to an impressive class of ’73, Guadalupe Friaz and Deborah Palacios Perez to some more recent alumni from 2011). While several universities across the country, I’m sure, have Mexican or Latin American folk groups, I must admit, seeing Los Mejicas perform makes knots in my throat and makes me very proud to see a newer generation of Latinos and non Latinos keeping traditional Mexican folklore “a flor de piel,” in other words, alive and kicking! To say that Los Mejicas are great is truly an understatement, and while they are no Ballet Folklorico de Amalia Hernández, Mexico’s world-renowned, elite national folklorico dance company, Los Mejicas certainly put passion, soul and countless hours of rehearsals in the midst of their academic demands and scholastic responsibilities. 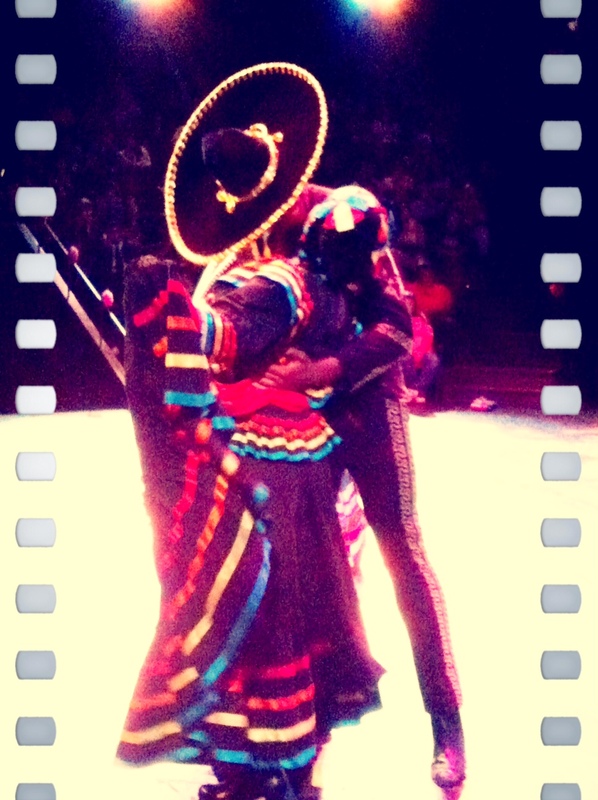 To see Los Mejicas is just as rewarding as seeing Amalia’s company… why? Because, not only are these students volunteering to perform, some with no previous dance experience, but you can tell in their performance and their faces, their pride in being part of something truly special. And to be honest, call me sheltered, I had never seen a ballet folklorico mexicano with an African-American or an Asian face, which to my pleasant surprise was part of Los Mejicas fabric and composition; basically it’s in their DNA, and that my friends, is what makes this group brilliant and unique! 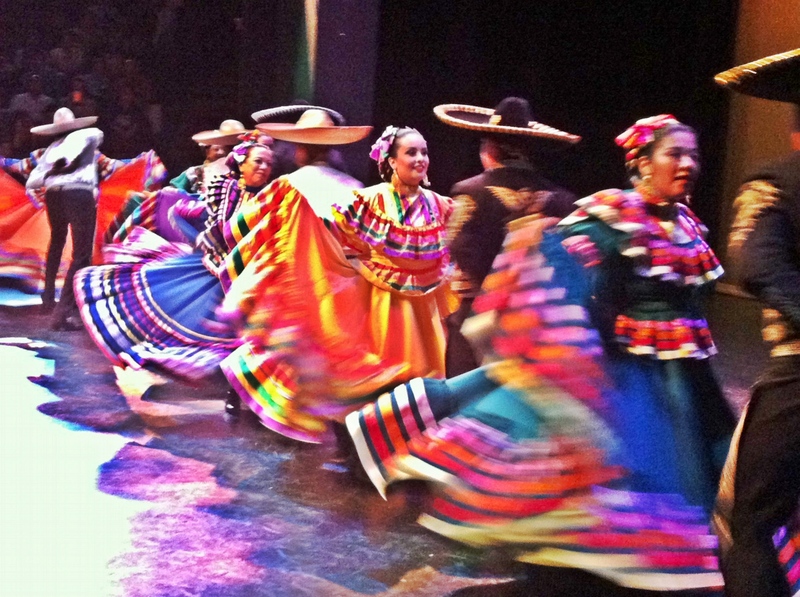 The annual spring show is a journey through some key states of the United States of Mexico (Mexico’s official name); a journey into the customs, and rich cultural and musical diversity found in a country predominantly defined by its iconic Mayan and Aztec heritage and tumultuous history. One thing Los Mejicas do superbly well is not only entertain, but also educate those who are lucky to go see them perform. The program details in a concise manner each region that they perform, giving the spectator a much better understanding of what it is they’re about to see. This year the show highlighted some typical and expected Mexican staples, such as Jalisco, Veracruz and Chiapas, but also served on a silver platter lesser known dances from states like Yucatán, Guerrero, Aguascalientes, Sonora and Baja California. One thing I’d like to suggest, and the only constructive criticism to Los Mejicas is that whoever is producing the show needs to edit and filter out some of the excesses that make the show drag a bit too long. Los Mejicas are good enough on their own to carry out the show without guest performances by singer interludes (which by the way, unless they’re coming out with a full Mariachi ensemble, should probably not be singing rancheras to a Karaoke mariachi track- I’m just sayin’) or have lower caliber and lackluster dance groups, such as Grupo de Danza y Baile Centeotl de Santa Cruz (major YAWN), who by the way, in my opinion, over extended their stay by performing 3, 4 or 5 numbers that were practically killing an audience who was desperate to continue watching the high-energy and passionate performances of Los Mejicas, the stars of the night. Remember, less is more and what are you told to do before you leave your house? Look at yourself in the mirror and take one or two things that first catch your eye in the mirror… in Los Mejicas case, the two aforementioned numbers and the introductory narration done for each region before each number… hey, we have the program, so no need to eat time from your amazing performance. 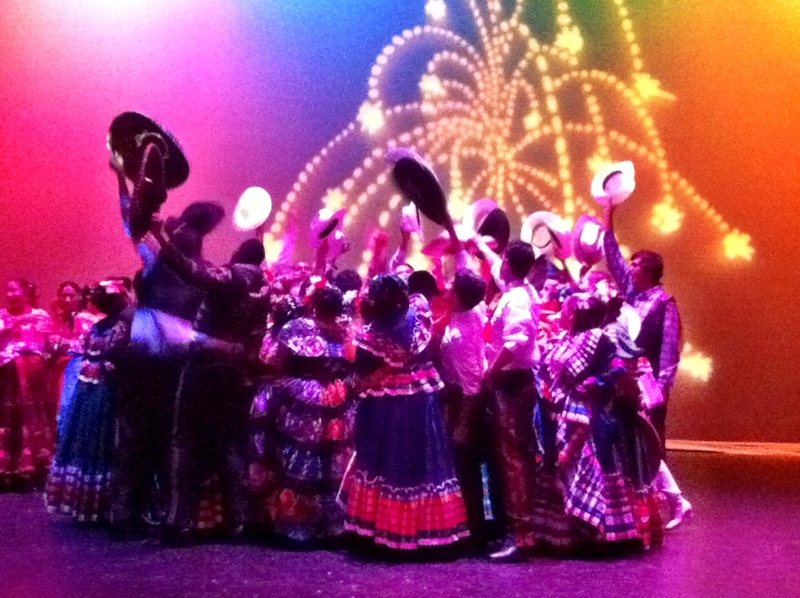 All in all, Los Mejicas folklorico company, because that’s what they are, are a fun bunch to watch, applaud and commend for their hard work, selfless dedication and effort to include all races to experience the wonders, and magic of Mexican folklore. Keep up the good work ladies and gents… your hard work did not go unnoticed, and probably never will! Pablo Escobar…Telemundo’s Golden Ticket to Become #1!